The constitutional basis for the conduct of elections in Guyana since 1964 is by way of a system of Proportional Representation (PR). On this basis, voters in Guyana recently enabled a regime change when they voted on 11 May last. The coalition parties comprising A Partnership for National Unity and the Alliance for Change (APNU/AFC) led by former Army Brigadier David Granger, won the majority of seats in the sixty-five member Parliament, referred to as the National Assembly. The outgoing regime, the People’s Progressive Party/Civic (PPP/C) led by former President of the Republic, Donald Ramotar is now the official opposition. This latter party remained in power in Guyana for over 23 years, since 1992. A PR system refers to a number of electoral systems where seats in parliament are more or less distributed to political parties in proportion to the votes cast for those parties at general elections. There are three main types of PR systems: the Single Transferable Vote System as used in Northern Ireland and Malta; the Mixed-Member Proportional Voting system as used in Germany, Venezuela, Scotland and Wales and the Party List Voting System as used in Guyana. In Guyana, on Nomination Day, the main political parties submit at least two lists of candidates: A National Top-up List and a Geographical Constituencies List based upon the ten administrative regions in that country. They do also provide a Regional Democratic Council List for local elections purposes. When voters go to the polls on election-day they cast their votes for a particular political party and not for individual candidates. After the elections, the number of persons going to the National Assembly from each party depends on the calculation by a special formula which has to be used by the Chief Election Officer (CEO). This formula is prescribed by section 96 of the Representation of the People Act. The decision of the CEO has to be endorsed by the Guyana Elections Commission. Forty seats come from the National Top-up Lists and 25 from the Geographical Constituency Lists. Following the results of the recent elections which were officially published on the 16 instant, the APNU/AFC will obtain 33 seats and the PPP/C, 32 seats. 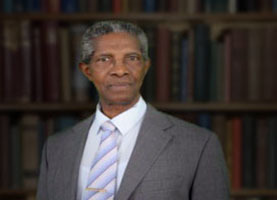 The winning party, having indicated on its list its choice of presidential candidate beforehand, had former Brigadier David Granger sworn in as President of the Republic on the 16 May. The President becomes both Head of State and Head of government as he is an Executive President as that of the USA and not a ceremonial one as that of Trinidad and Tobago or Dominica. He is entitled to appoint a Prime Minister who will be responsible for the day to day affairs of the state. The PR system is contrasted with the First-Past-The-Post (FPTP) system which is presently being utilized in Grenada at general elections. In this situation, whichever candidate obtains a simple majority vote in a particular constituency wins the seat and becomes the representative for the constituency. The party which wins the majority of seats wins the general elections and is entitled to elect a Prime Minister and form the government. To many, it is a much simpler process than any of the PR systems. The claimed advantages of the PR system include: more accurate representation of political parties; better representation for political, religious and racial minorities; fewer wasted votes; higher levels of voter turn-out and disincentive for gerrymandering of constituency boundaries. The claimed disadvantages include: too complex for many voters; may discourage voter participation; may encourage too many minority parties; delay in the announcement of an official winner following elections; disproportionate power to minority parties; enables a high incidence of coalition governments; and lack of incentive to pay much regard to constituencies. The PR system is well suited to what seems to be an ongoing racial divide in the voting pattern of Guyanese voters. Indo-Guyanese usually become pitted against Afro-Guyanese and vice versa. If a huge geographical area comprising a substantial majority of a particular racial grouping is divided into smaller constituencies, then there would be obvious disadvantages for the other racial grouping. In Northern Ireland the PR system was utilized from since 1998 to counter the problem of the religious divide between Catholics and Protestants there. Each of these groupings resides in particular geographical areas in Northern Ireland. If these geographical areas were divided into smaller constituencies and the FPTP system was used then serious disparities would arise. The PR system may be seen therefore as having an important role to play in certain situations such as where racial and religious disharmonies exist, however in other situations its usage may not be appropriate.